Much of the authentic background detail for the first part of Brushstrokes in Time came through interviewing the artist Qu Leilei. In my second novel to be published early in 2019 the detail is from my own life. It is not my life fictionalised just as Brushstrokes in Time was NOT Qu Leilei’s life fictionalised. The family of Ingrid Lindberg have allowed me to use her as the only non-fictionalised character in my second novel . 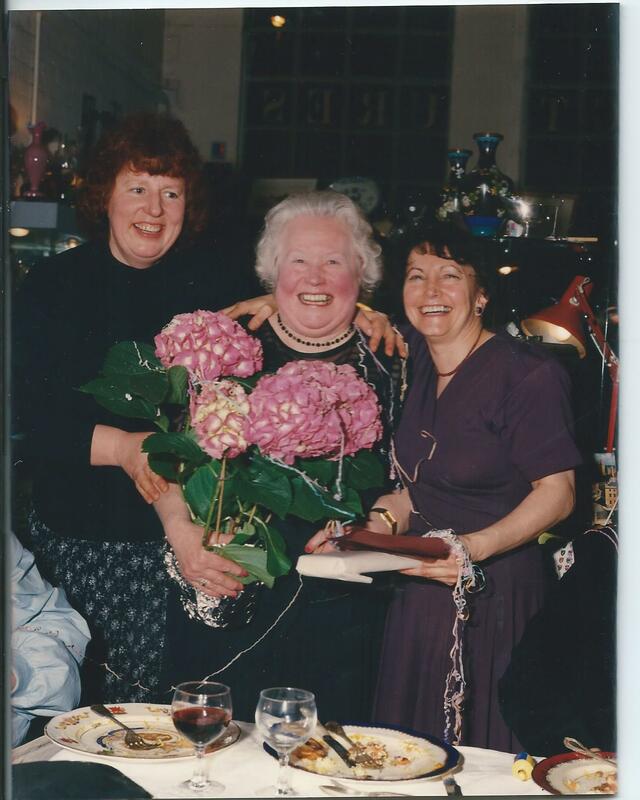 The pic was taken at the party we gave for her at the Jam Factory on her 75th birthday. I suspect many readers of Sculpting the Elephant will think her story not credible and yet the tale I tell of Culham Manor is absolutely true! Sometimes truth is indeed stranger than fiction. I recently re-read PD James’ Devices and Desires and it brought back memories. She was a delightful regular customer at the Jam Factory as was Desmond Morris and Brian Aldiss. Writers seemed to find plenty of scope for their imagination at the Jam Factory! 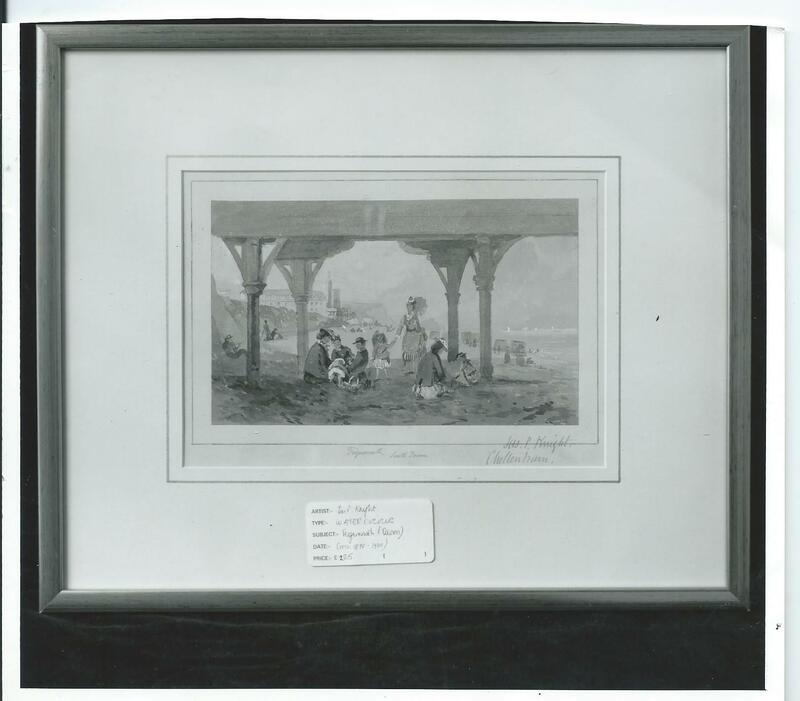 I took a pic of this painting of bathing machines on Teignmouth beach which I sold to PD James. 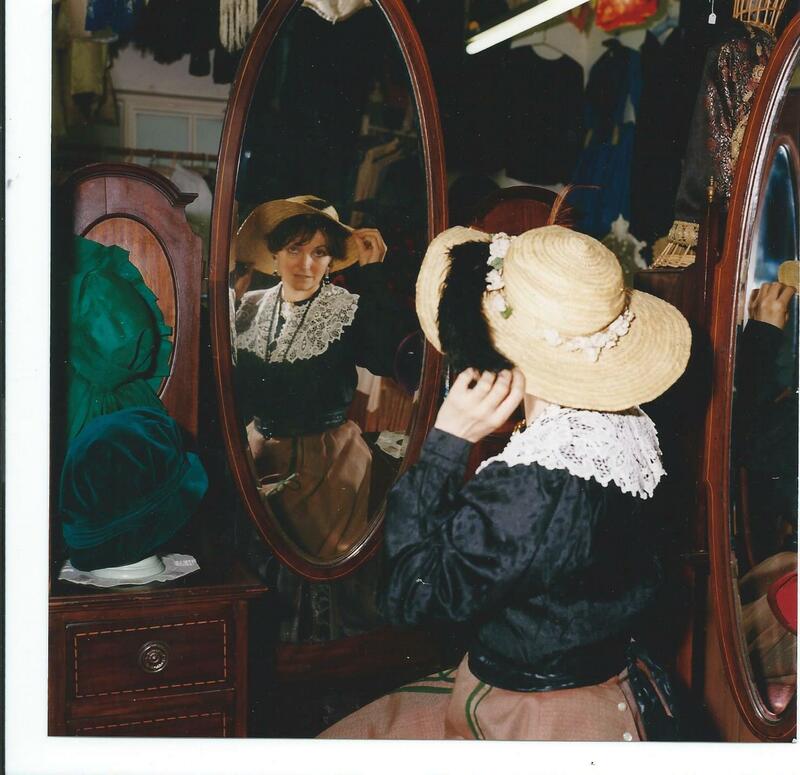 I bought it for our Edwardian weekend and I made sure I dressed the part!